It's time for SRC again - such an exciting time! Each month, as part of the Secret Recipe Club, we're assigned another blog, and we get to pick a recipe from their blog to make. This month, I got Nicole's blog, I am a Honey Bee. And she's certainly got a variety of delicious eats. And some of them are even Whole30 compliant since she's done that too. I'm not sure if I'm ready for Whole30, but we're working our way there. I'm loving the idea of making Grilled Cheese on a waffle iron. Looks like fun! I also debated making her Caprese Bites. Then I saw Watermelon Sorbet and wanted that too! Except I saw Honeydew Sorbet. Yes, please! What's your favorite sorbet flavor? 2. 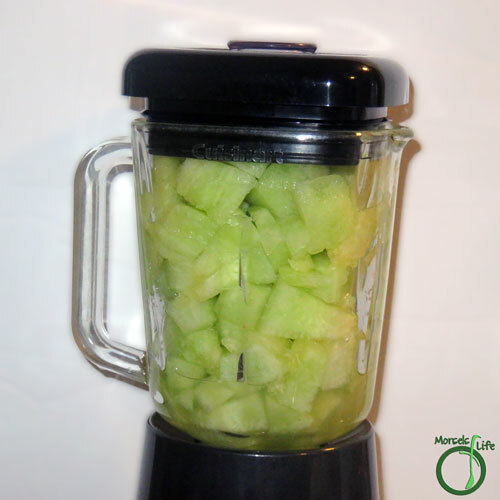 Blend honeydew and lime juice to a very smooth consistency. 4. 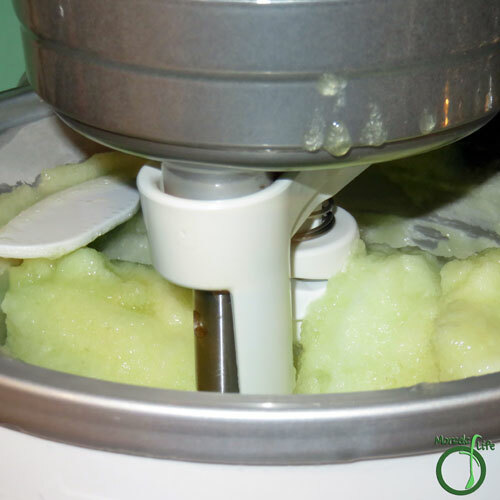 Freeze into sorbet with an ice cream maker. that looks so amazing... refreshing and tasty... YUM! 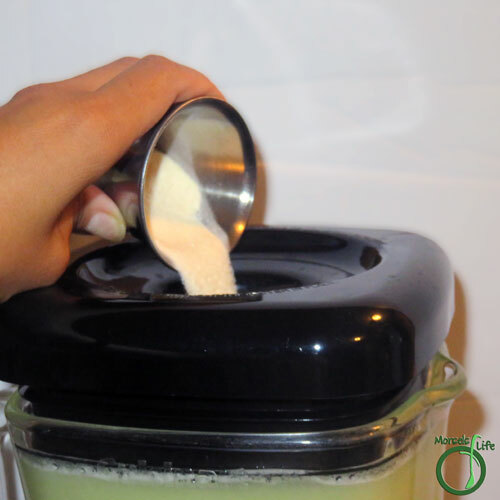 This recipe fits in perfectly with the Fast Metabolism eating plan that I am on. I haven't done the Whole 30 but, from what others have told me, this plan is similar. Yay! 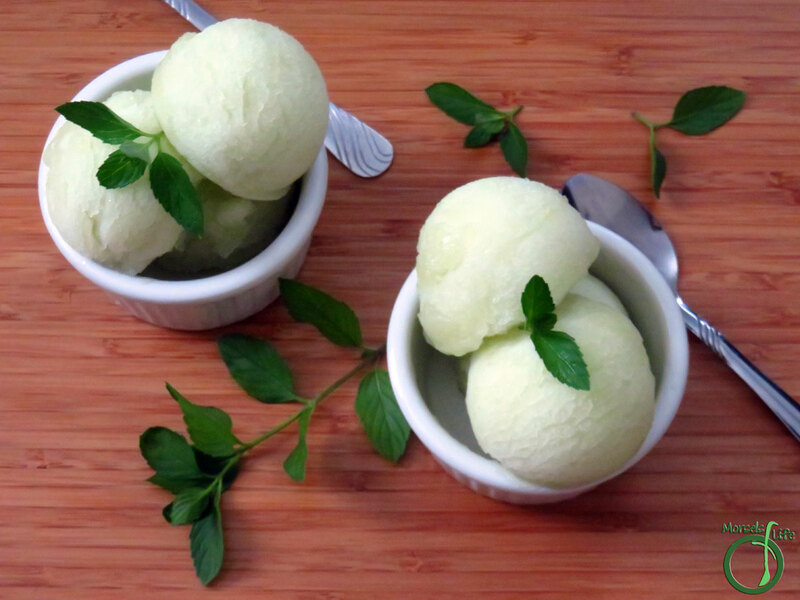 Hope you enjoy this honeydew sorbet. :) Sometimes it's hard to find treats when you're on a restrictive diet, and we really enjoyed this one! THIS is perfection! Such a healthier alternative to ice cream but the same icy cool treat. I need it in my life right now during these hot summer nights! Beautiful! Love the idea of a healthy treat. love that you made it whole30 complainant! AWESOME!!! I have all three of these ingredients. I am making this Friday! Thank you so much for linking at #WonderfulWednesday! I look forward to seeing what you share every week. Please come back for #ThursdayFavoriteThings or the #RecipeShareParty and get YUMMED. Don't forget to comment your link #'s so I can be sure to visit and you get a chance to be featured! Pinned and shared. Let me know how you like it! It's so easy and delicious. :) Don't need to mention it's just fruit either! How summery! I can't wait to try this...I need to find my blender though. 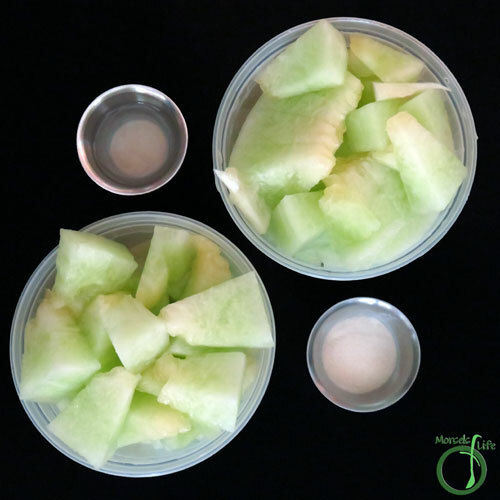 Honeydew is absolutely my favorite melon. 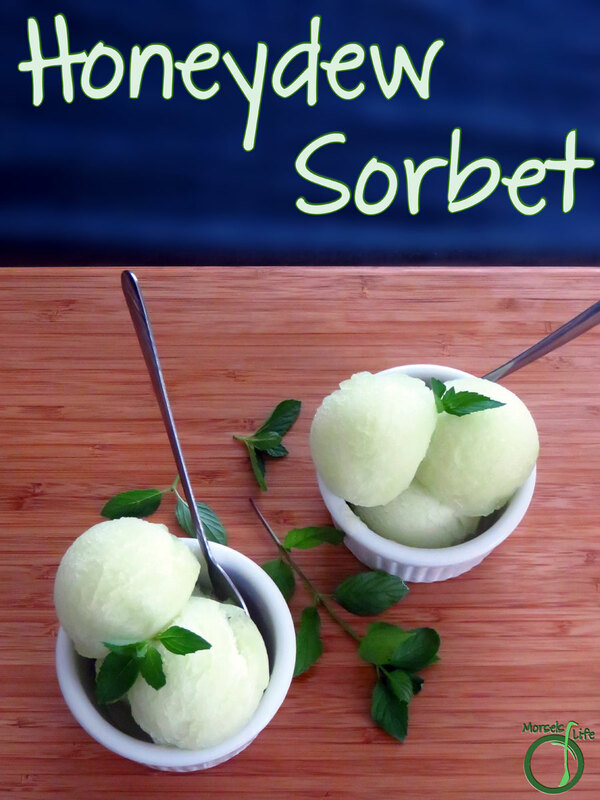 And although I would have a hard time keeping it around long enough to make this sorbet I would definitely be the first one in line to eat a few scoops. Thanks for the great summer recipe choice. It's my favorite too! We bought some extra to make this sorbet. :) Hope you enjoy! This looks so fresh and delicious! Thanks for linkin' up with What's Cookin' Wednesday! I have not made honeydew sorbet but watermelon is my husband's favorite. I need to try this one. 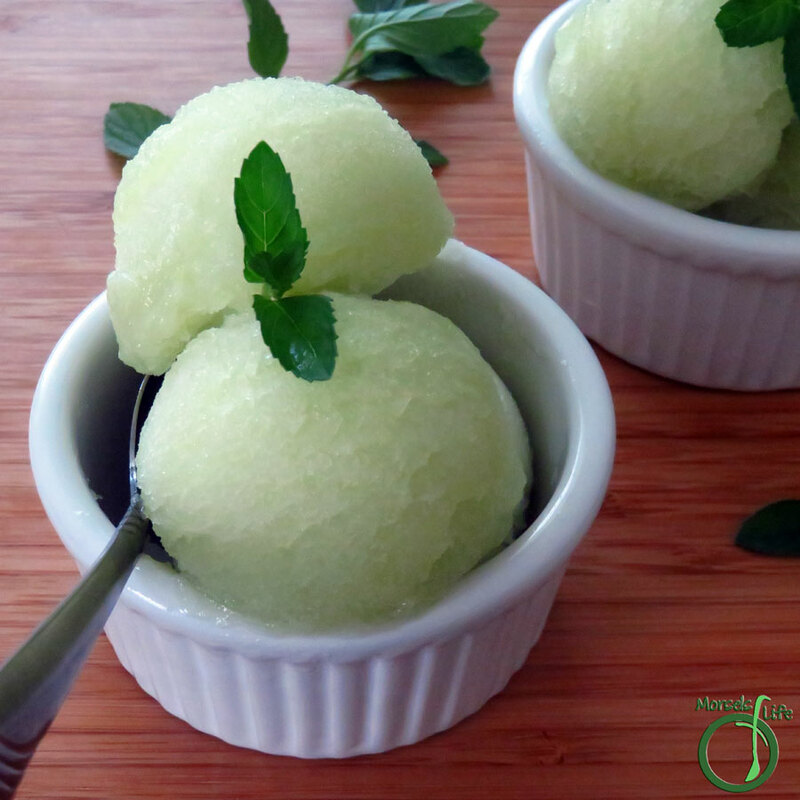 I'm all into ice-cream and sorbet this summer, and this honeydew sorbet look DELICIOUS !! Us too! I won't say how many times I've pulled some honeydew sorbet out of the freezer this summer. :) Hope you enjoy! Looks so delicious and refreshing. Congratulations on your #overthemoon feature!